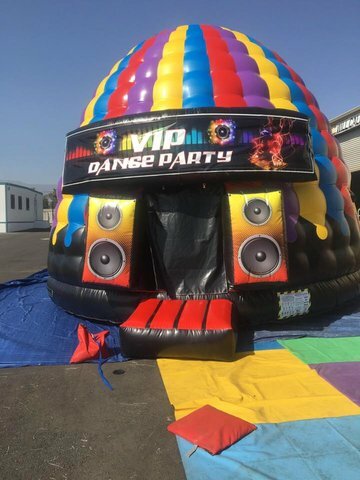 Disco Dance Dome 20' | AZ Jolly Jumpers Party Rentals | bounce house rentals in Peoria, Arizona. Are you ready for an all nighter? The disco dance dome keeps the party going! The gigantic blackout bounce house has a 20ft diametor, LED llight show, and blue tooth speaker. 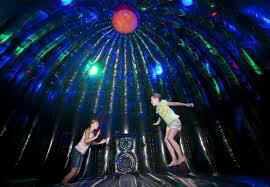 The dance dome is 18ft tall which allows for serious fun!